I definitely go through my own little style trends. Lately it has been STARS. 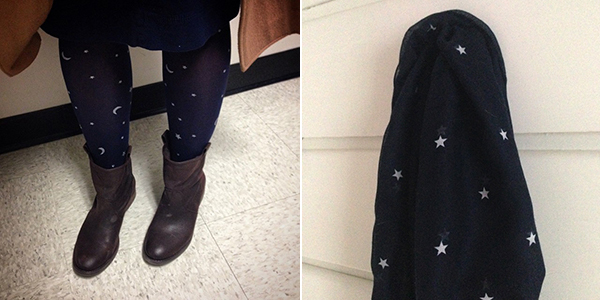 I got star tights, a star scarf and have been on the lookout for the perfect little star stud earrings. 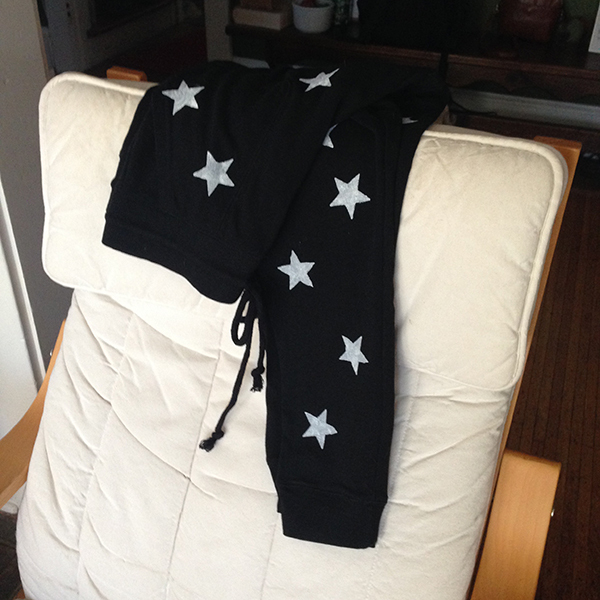 Then I spied Mindy Kaling wearing these star sweatpants on her Instagram feed! 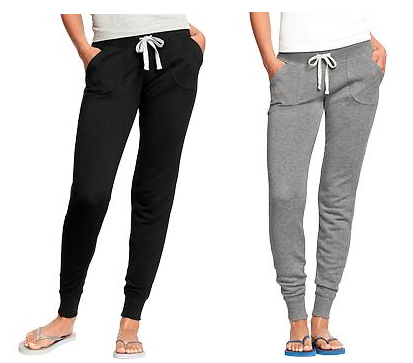 I'm not a big fan of sweats, but I do like these skinny ones... for wearing around the house. Thanks to this handy dandy internet site - wornontv, you can figure out what clothes characters on tv are wearing. Then you can be depressed because those sweatpants are $145. $145! For sweatpants! I decided to take matters into my own hands. 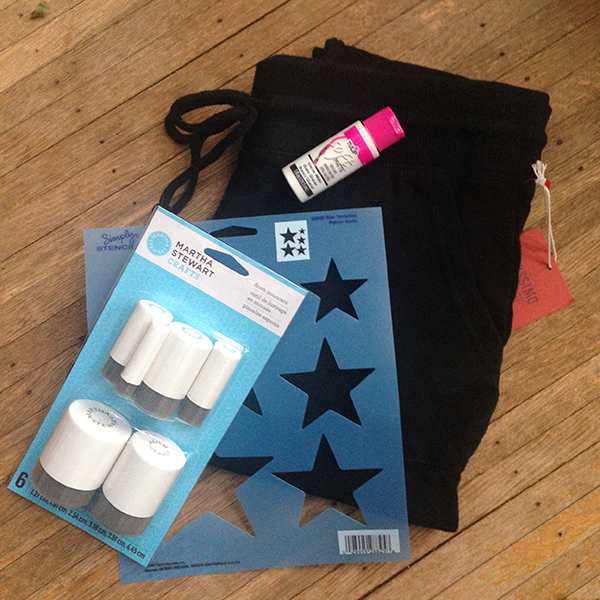 I got a pair of skinny sweats at Target, some fabric paint and star stencils at Michaels and even splashed out and bought foam pouncers (because I love the name) to do the painting with. 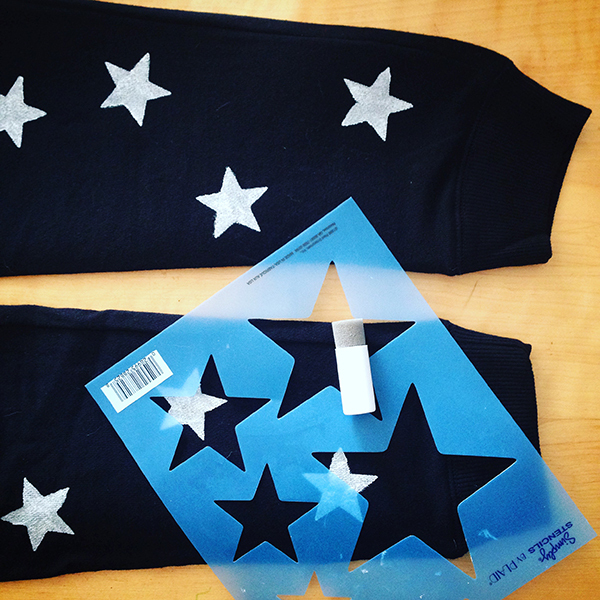 Stenciling the stars was easy enough. Maybe because I invested in the pouncers. So there are my star sweats for a fraction of the price! They don't look exactly like the original but I won't be venturing far from the house in them so that doesn't matter. The only thing I didn't consider was the foolishness of black sweats in a house with two pugs. They were covered with pug fur and I hadn't even worn them yet.